It appears that punters are truly enjoying the chance to bet on the next royal birth as bookmakers this week said that if the Duchess of Cambridge gives birth to a blonde daughter called Alice that it will cost them upwards of half a million pounds. 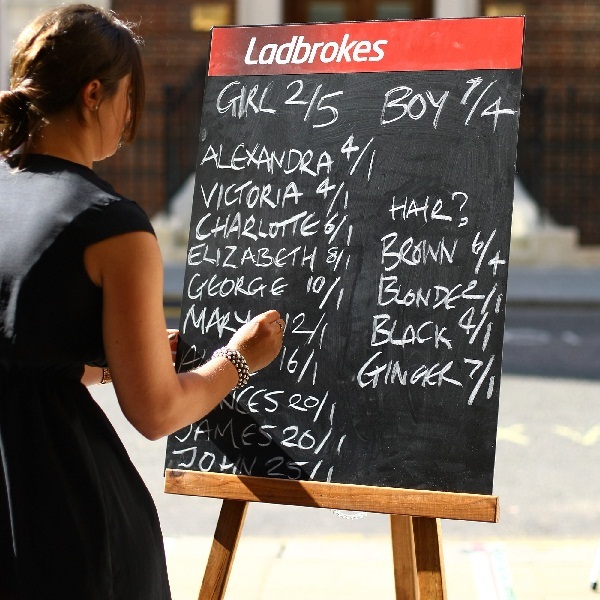 According to Ladbrokes two people have bet more than £2,000 each on the baby being a girl and the betting has been so intense that the odds have dropped to 8/15 for a girl while a boy is now at 11/8. Similarly, the name Alice is now so popular that the odds have been reduced to 5/4 while the next favourite name Elizabeth is at 6/1. It is also possible to bet on the day that the baby will be born, every day from now until April 27th is at 10/1, and the baby’s hair colour with blonde and brown at 6/4 and red and black at 5/1.